Anyone who has ever received a massage from a registered therapist knows what sweet relief feels like. Sometimes we can’t get to a therapist and need immediate help to relieve muscle tension and pain. A friend or family member may mean well but an amateur massage doesn’t quite compare. It definitely feels good but rarely gets to the root of the problem for long-lasting relief. You can be your own massage therapist with one simple tool: a tennis ball. The pressure and texture of a tennis ball are perfect for self-massage to get right to the restricted spots, wherever they are. Find our how to target each ache and pain below! According to the American Spinal Decompression Association, at least 80% of Americans will experience lower back pain at some time in their lives. (1) Pain can be caused by any number of factors; knowing the cause will help to take steps to correct it. Here is a simple stretch to loosen muscles and ease restriction. Lie on your back on the floor. Place 2 tennis balls under your lower back between the bottom of your ribcage and your sacrum. Ease pressure when rolling over the spine. Move your pelvis from side to side, rolling the balls across your lower back. Slow down the movement over particularly tender spots. Continue for up to 5 minutes while taking deep breaths. Poor posture, holding a phone between your head and shoulder, or over-exertion can cause pectoral muscles to tighten. From simple tenderness to difficulty breathing, your chest houses organs you need to protect. 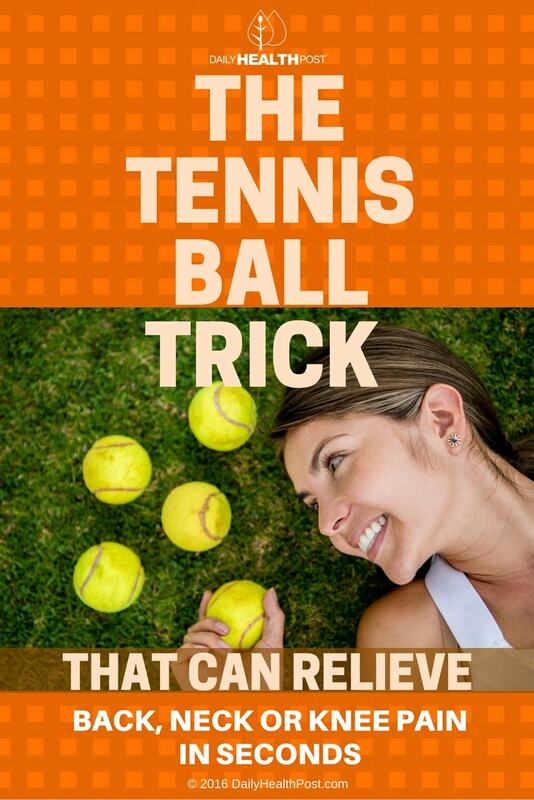 Stand in front of a wall or flat door and place a tennis ball just below your collarbone. Press your chest into the ball. Shift your weight from side to side, up and down, rolling the ball along your upper chest muscles for 1 minute. Stop, stretch your neck and arm, then repeat on the other side.